See your child develop real skills while getting some Me-Time! We donate a toy to a child-in-need when you join and help the environment by re-cycling toys. Our child development experts curate a selection of toys that foster creativity, curiosity and others vital skills for children. Our library grows each month with the newest and most educational toys that come to market. Since every child is unique, we learn about your child’s play preferences and needs and suggest the most appropriate toys for each child! We have been members for a year now & it has been AMAZING! -Nicole G.
Super awesome program, highly recommended. 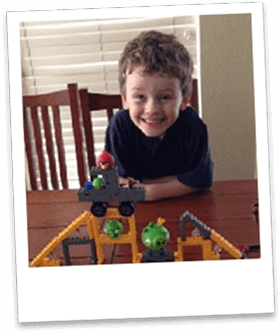 -Amanda R.
My son is 7 and just can't wait to get the next toys in the mail. 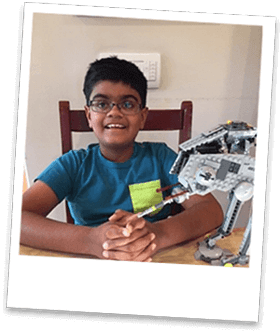 This is such a success in our family he’s happy playing and I get my ME time :-) -Sharon M.
We deliver safe, sanitized toys! With 1,200,000+ rented toys, we never experienced an issue with our cleaning process. 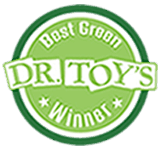 Our cleaning and sanitization process meets the highest cleaning standards to ensure that toys are germ free and disinfected. We use ultrasonic baths and clean wooden toys with non-toxic, environmentally friendly, anti-bacterial wipes. For every new sign-up, ToyLibrary donates a toy to a child in need. Also, by using ToyLibrary, you protect our planet with fewer toys in landfills. All trademarks, product names and logos of the toys on the ToyLibrary site are the property of their respective owners. 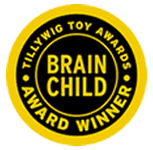 ToyLibrary is not affiliated, sponsored or connected with those owners or their products.